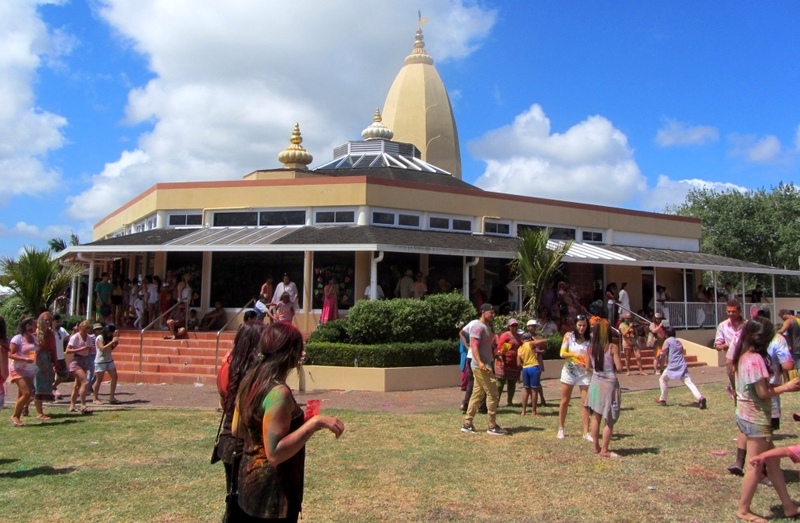 The Holi Festival of Colours was held yesterday at the Hare Krishna Temple in Kumeu. 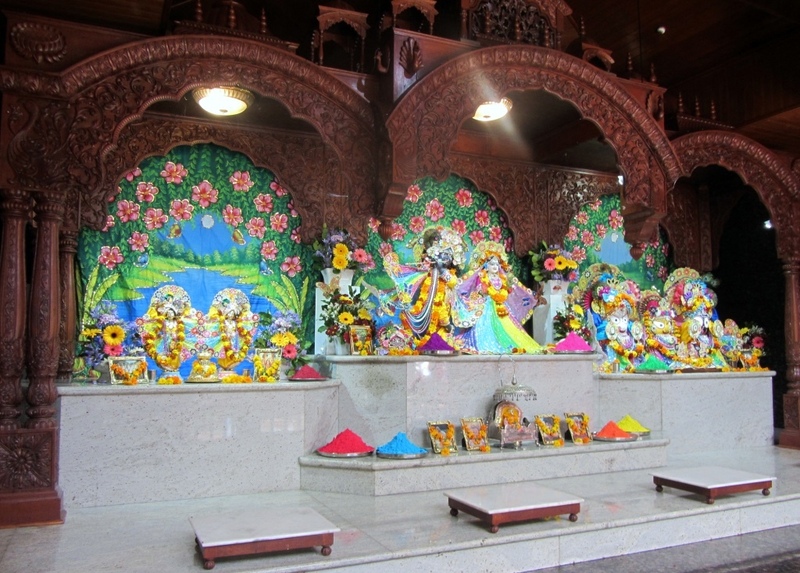 This year is the fourth year that ISKCON (The International Society for Krishna Consciousness) Auckland has hosted the event. 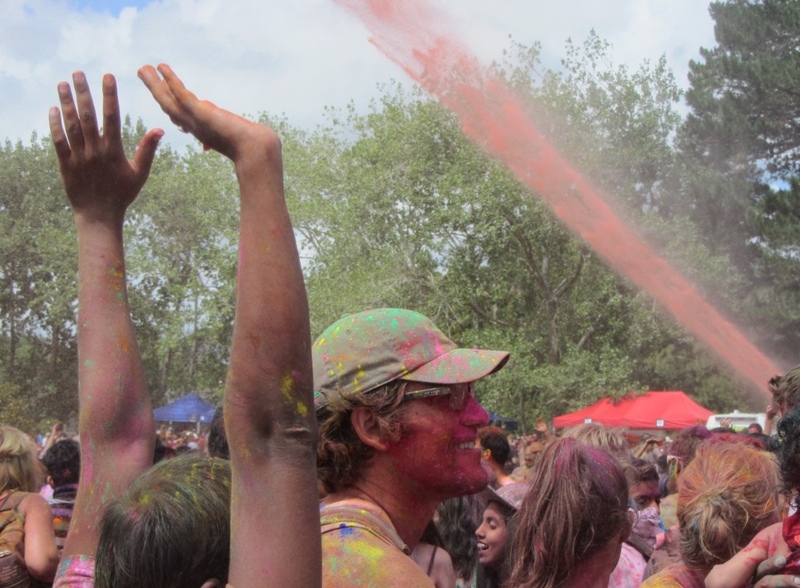 The Holi Festival of Colours was held from 12 Noon till 5 pm at the Hare Krishna Temple, which is located at 1229 Coatsville-Riverhead Highway. Entry was free but 100 gram packets of colour were sold at $5 each unless guests pre brought a 5 pack for $20 or 10 pack for $40 online. 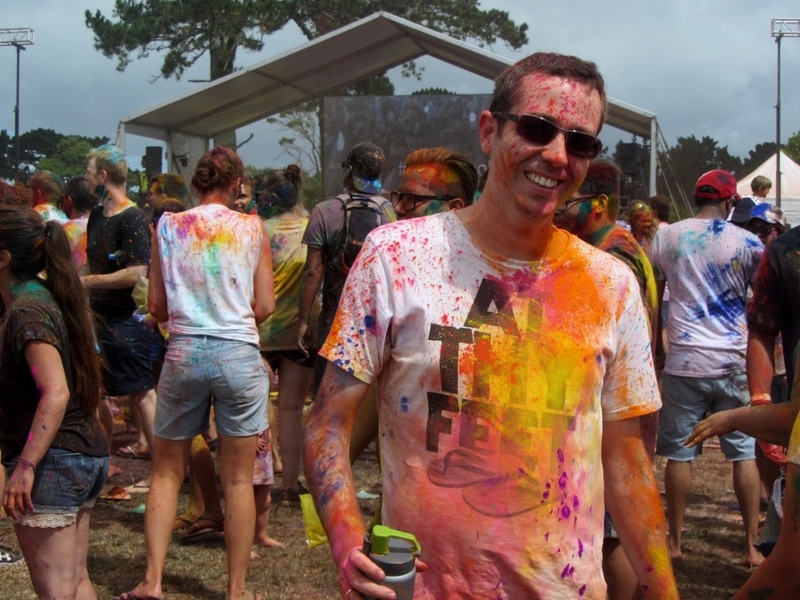 The colour powder is made from corn starch, so it is non-toxic and washes out of clothing…eventually. Of course you don’t need to buy colours as colour throwing was done on the hour. 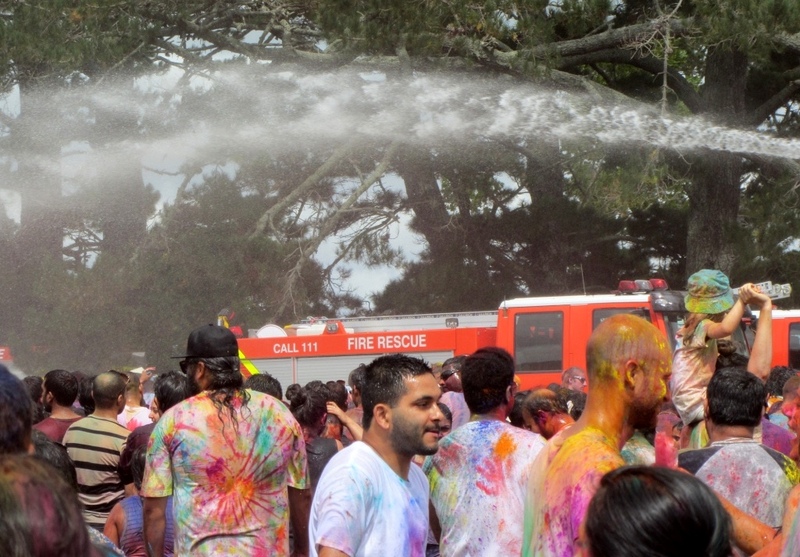 Fire trucks also sprayed water over the crowd. 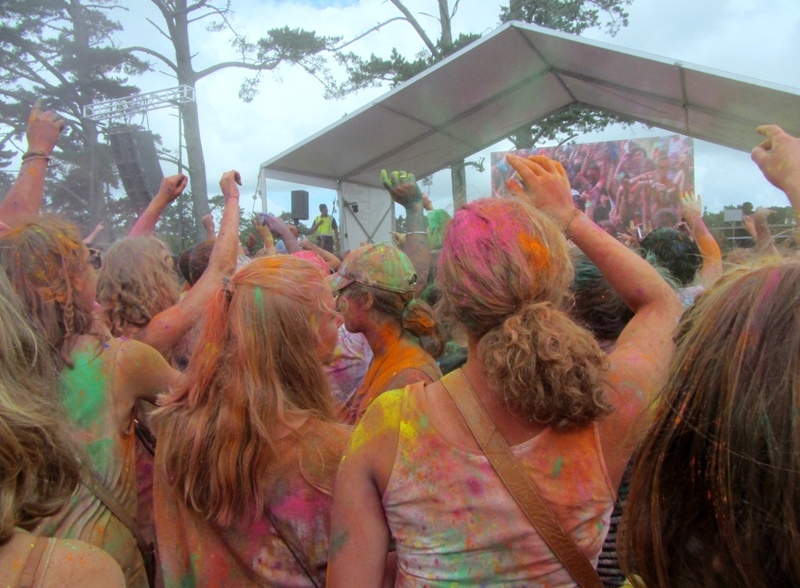 They also had entertainment with live DJs, bands and Bollywood dancers to keep the crowd moving. They also sold $5 meals with generous helpings. They also provided a shuttle bus from Britomart Transport Centre for $12.50 return, but there is plenty of parking available. 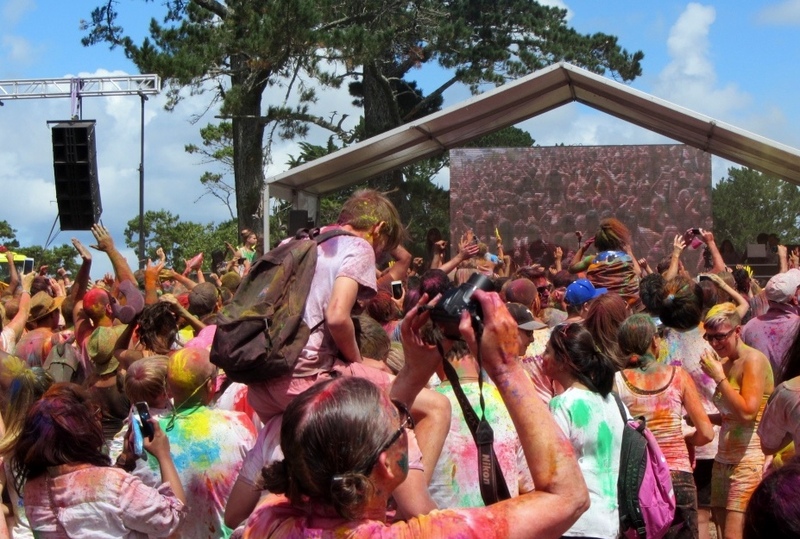 The event was a lot of fun and was well organised so if you get an opportunity to go next year, don’t miss it!